Dr. Pepper, a soft drink sold by the Dr. Pepper-Snapple Group, is known for its hard-to-define flavor. According to its official website, the beverage was invented by a pharmacist in 1885, which makes it America's oldest major soft drink brand. For those who are looking for the beverage's characteristic flavor with less calories, the manufacturer offers a diet version. Water, injected with carbon dioxide gas, makes up the largest component of Diet Dr. Pepper. The carbon dioxide gas gives the beverage its bubbly, fizzy texture. If you pour out Diet Dr. Pepper from its can or bottle, you'll notice that it's a dark-brown color. This color comes from caramel coloring added to the carbonated water. Diet Dr. Pepper is sweetened with aspartame which contains phenylketonurics. Aspartame gives the soda a sweet taste without the calories associated with sugar or high fructose corn syrup. Although there's some concern about the unknown health effects of this artificial sweetener, the University of Idaho's Department of Food Science and Toxicology says that medical evidence is inconclusive as of 2010. People that have the rare genetic metabolic disorder phenylketonuria, or PKU, should not consume aspartame. Because of this concern, the manufacturer adds an all-caps warning on the drink's label to note that it contains phenylketonurics. This acid is widely used in colas and other packaged beverages to lend a slightly acidic, tart taste to the beverage. Flavoring comes in as the fifth ingredient in Diet Dr. Pepper. According to the manufacturer, the specific flavors used is proprietary information. However, the manufacturer does note that it's a "unique blend of 23 flavors." Sodium benzoate is listed on the beverage's ingredient label as a preservative. It helps keep the drink stable. According to Dr. Pepper, the diet version of the drink has a shelf life of 13 weeks. Diet Dr. Pepper, like many soft drinks, has caffeine. The manufacturer notes that all versions of the soft drink contain this stimulant. 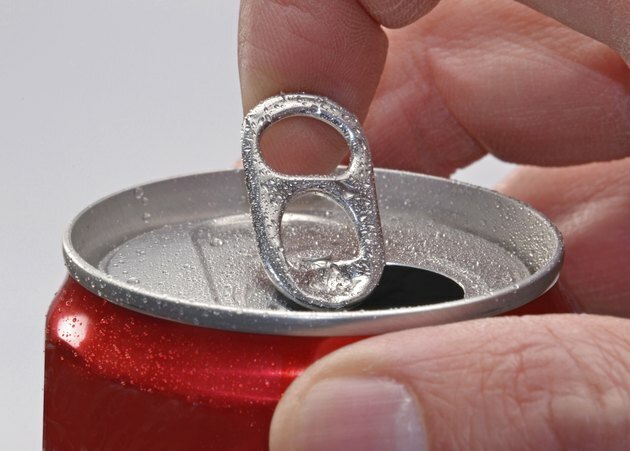 Which Diet Sodas Do Not Contain Aspartame? What Are the Nutrition Facts of Diet Sprite?